Five years after their seminal Fake Meets Failure LP, Red Dons return with their junior album The Dead Hand of Tradition. A lot has happened in that half-decade. Two of the band’s core members, Douglas Burns and Hajji Husayn, left their hometown Portland, Oregon (for Chicago and London, respectively), and recorded and released a slew of singles on labels like Grave Mistake and Dirtnap (including a collaboration with TV Smith of UK punk legends The Adverts). Despite the distance between them, they’ve toured regularly in North America and Europe. 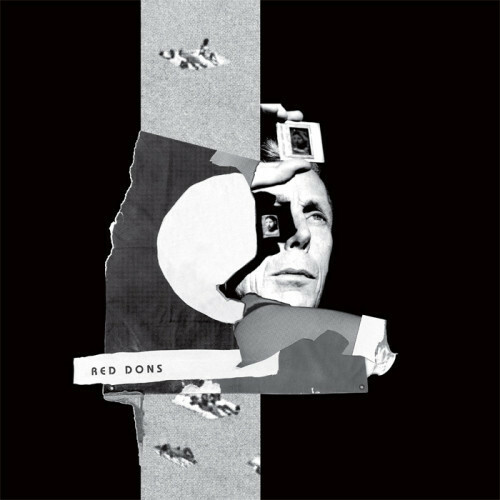 In early 2015, Red Dons reconvened in Portland to record The Dead Hand of Tradition at Buzz Or Howl Studios, the same establishment where they recorded the album’s predecessor. It features ten new tracks of their signature dark, driving, melodic punk rock. The duo’s distinctive songwriting hasn’t changed, but shows the maturity of five more nomadic years under their belts. These new experiences have only added to the themes of alienation, emigration and loss in their music.